I'm so excited to be back making videos. I had so much fun setting up my equipment and getting ready to film. It took me a day or two to film because I didn't want the excitement of prepping to end. hehe. Thank you so much for the kind words and for leaving video requests. Your support means the world to me. 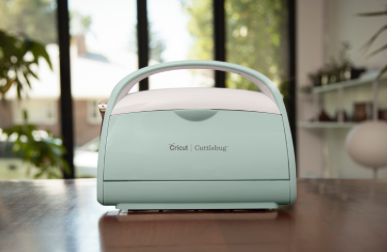 Let's start off with an updated tutorial on the Cricut Cuttlebug. I did a video many years ago on the different types of dies you can use with your machine, and it's one of my most popular videos to date. One of the biggest comments I get is that their Cuttlebug didn't come with a C plate. Version 3 doesn't either, but it does come with a rubber mat that, when you put it together with an B plate, you have a C plate. Oh Yes! it's totally true. I know what you're going to ask...Do you like the Cuttlebug better than a Big Shot? I think of them as my children (I know what your thinking, Christina, you only have one child, but I count Scott as a big kid, plus the two cats and our dog) and love them equally. They both have great qualities. One of the biggest features I love about the Cuttlebug is the fact it takes up less overall space in my crafting area. It's tucks nicely onto a shelf or can sit right on my desk. I absolutely love the color. Yep I'm a sucker for cute colored crafting tools, and I really like how it suctions to my desk while I'm cranking away cutting and embossing. Here are the supplies featured in today's video. I hope you enjoyed today's video. See you back here really soon. I love the Big Shot too, the space it takes up is my biggest complaint. I did feel the new v.3 was easier to cranky, but it's been a long time since I've used a Cuttlebug. Hi Christina! It is wonderful to have you back doing videos. 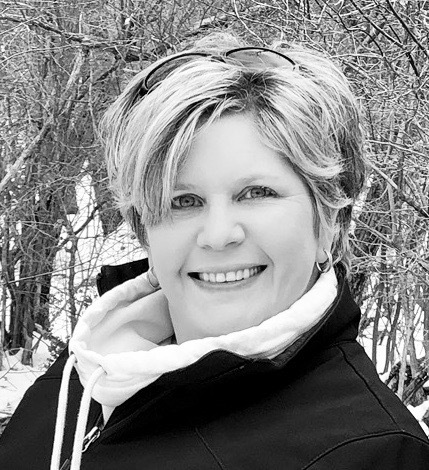 I have missed your warm, friendly personality, as well as your crafting enthusiasm. I still have my original Cuttlebug, and it still works great! I also have a Spellbinders Platinum, as sometimes I want to go bigger. As you said, they all have their purpose and I love using them, as well as my Cricut machines. Looking forward to the next video or post! Thanks so much Beth Ann, I love being back. That is the best thing about these machines, they all have their own unique quality. I had a cuttlebug but gave it to my mom when I got my big shot. I didn't like having to go through a million times to get one cut. I have missed your videos!! I love the cards you make!! Can't wait to see what else you have in store for us. Thanks Sarah, I had that same problem with my original Cuttlebug. This one's tension seems to be way better. Welcome back and I watched your video and enjoyed the program. Good luck and I hope to see some family pics to see how your all doing and how big your son is now. Thanks Paddie. Oh yes, many pictures to share. I have always been a fan of the cuttlebug. I actually own 2 of them, the original one and the Anna Griffin Gold/cream one.... but I don't use them anymore sadly. I have them just in case as "back-ups" in case my Craftwell Ebosser dies on me. That is what I have been using for the past three years just because it's easier on my hands ( i have arthritis and carpal tunnel) and it gives me a larger platform for cutting larger projects or multiple items at once. Well I am definitely looking forward to seeing what you will be working on! Glad you are back with us!!! Have an amazing day! Thank you Jo! you are so sweet. I've missed crafting. You are the 2nd person who's mentioned the Craftwell machine. I'm gonna have to check it out. Thank you always for ur love and support. I'm so happy to see you back. I've been checking every so often to see if you're around and I was delighted to get the email about this video. I never did own a Cuttlebug; I have the Craftwell Ebosser and the Big Kick as a back up, but I was happy to hear your voice and look forward to more videos. You were the very first person I followed and learned from when I got my first Cricut many moons ago (remember the Wild Card series?). I now have the Cricut Maker so lots to explore on that one. Welcome back. Thank so much Charlotte. I appreciate your support and your understanding. Jo left a comment about the Carftwell too. I will have to check it out for sure. 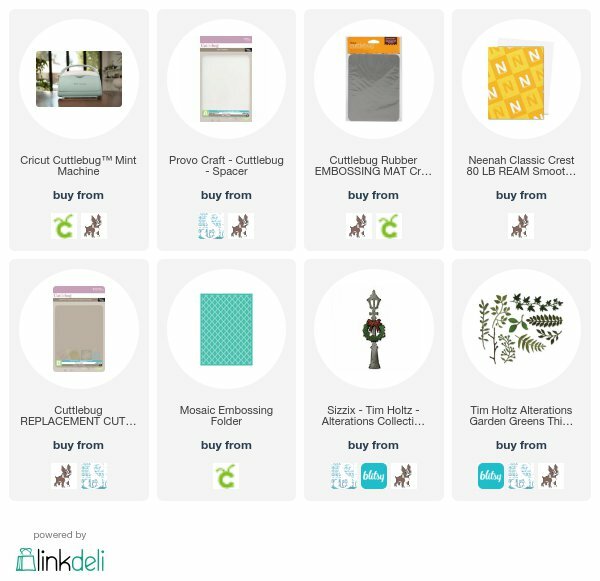 Cricut Maker is on my list this week to purchase. I'm really really really wanting one.